What are 3rd graders expected to learn from their 3rd grade curriculum? You have to understand the basic objectives for 3rd grade before you can develop or choose an effective homeschool curriculum for your children. Your primary reasons for homeschooling may have included the ability to determine what your children learn and on what schedule they learn, but you cannot shun the basic objectives established by your state. Make sure to check your state requirements before you get into major 3rd grade homeschool curriculum planning. At the same time, you want your child to have the same opportunities as other third graders. They will be more challenged with longer sentences, vocabulary, multiplication, and memorization tasks. Depending on the state you live in, you may have to even prepare your child for standardized tests. If you are lucky, you live in a state that is not overly restrictive when it comes to curriculum requirements for third grade. If you do live in a more restrictive state, then it is essential that you know the requirements and meet them. To help you get started, make use of this generalized list of objectives for third graders everywhere. Third grade reading and writing is more intensive than in previous grades. Once your child develops the necessary skills, they become more excited and enthusiastic about writing. You’ll see this in their willingness to read for pleasure and write on their own time, even to entertain themselves. By third grade, math often becomes an intimidating subject. It challenges a child’s memorization skills. Math is also a progressive subject; to understand multiplication, one must grasp how it relates to other operations such as addition, subtraction and, something that might be completely new to them, division. Lots of other concepts factor in too. Fractions, decimals, and larger numbers are added to the mix. Your child will fall behind quickly if they don’t understand one concept before going on to the next. At this stage models of real things become important. For example, a model of the solar system will be useful, or even a reconstruction of the human body with internal organs and skeleton. Children at this stage learn that, by solving one problem, new ones are created. They also learn there are different points of view on subjects, and it’s important to listen to and tolerate each one. Explore economic concepts such as supply and demand, trade, resource allocation, etc. A 3rd grade homeschool curriculum is far more analytical and comparative in nature. In social studies, you will be able to compare one culture or concept with others throughout the world. Cause and effect can be expressed and used to analyze historical events. Events from around the world can be examined and compared with each other and other types of knowledge. Your child will gain a thorough understanding of how events in American history have shaped their lives. Independent learning really begins in third grade. Children should be capable of working independently and solving more learning problems on their own. Allow them more freedom while checking their independent work closely when they are finished. Allow children to make more decisions as far as what they read at this level. This will increase the chances of them finding enjoyment in reading. They may even have favorite sections of the library at this age. Use concepts introduced in first and second grade to make more advanced math and reading skills more understandable. For instance, children can use skip counting to help with multiplication. Start asking children questions about what they are reading. This is a good way to determine if they comprehend what they read. Flash cards help children remember multiplication tables. Make your own or buy a set. You should not have to use dry noodles, blocks and other counters as much in third grade. Children should start to solve math problems with scrap paper and some may start to work their problems in their heads. Develop a schedule for homeschooling. Determine what subjects to cover in the morning or which apply to a specific topic you’re planning during that time. Set aside time at the end of the day to review what was covered or have the child present what was learned that day. It’s also important not to forget lunch breaks and time for fresh air. Kids need to recharge too. Set aside time to let your child choose subjects and topics that interest them. This splits up the day and gives them an opportunity to explore their own interests and apply them to other topics. Have your child pick out writing books and implements from the store. If these are associated with being individual possessions, it makes writing all that more personal. Go to the library together and find insightful resources including maps, books about world countries, state capitals and more. Also seek out information from local tourism offices, federal government websites and public and private organizations. Focus on the real world. Discuss how an event in American history affects your child’s life today, or use time to solve math problems. Even have them be creative by building a clock or drawing up their own calendar. 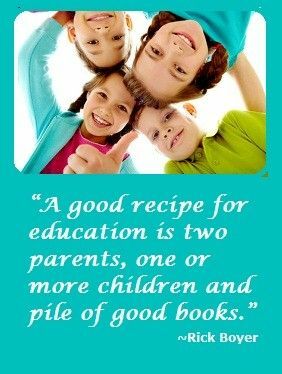 When discussing books and characters, relate certain aspects to people, places or information your child knows. 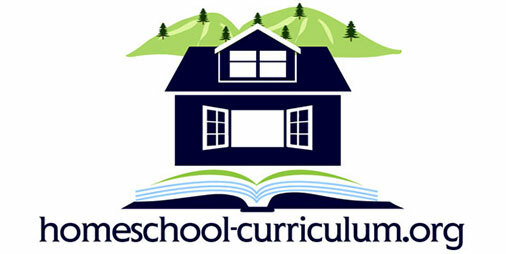 Homeschool Complete – Created by a homeschooling mom of three with 27 years’ teaching experience in both public and private schools at all levels, you can find quality year-long curriculum, reading curriculum, and unit studies. Alpha Omega Switched on Schoolhouse — 3rd grade is the earliest grade that can start using this computerized learning program. Most third graders are ready for it and love it! Alpha Omega Life Pacs — This mastery learning program is great for kids who love to master a topic before moving on to the next. Sonlight Curriculum — If your second grader was bored with history, make it come to life in 3rd grade by trying Sonlight’s program. Apologia Science — One of the most interesting ways to teach science, this gives a great foundation for 3rd grade students to learn to love science. Horizons Math — Does your child like colorful worksheets and a little challenge? This curriculum and its spiral learning method is excellent for gifted students or ones who rise to a challenge. Saxon Math — The mastery learning method of this curriculum makes it a good fit for students who want to master a skill before moving on to a new concept. Finding the right curriculum takes time, but it can be fun. Since third graders learn different subjects at different paces, it may be easier to go line by line. There are many curriculums focused on single subjects. Here are some steps to picking the right ones. Research what’s available in a specific area and write down your top selections. Consider the cost in relation to your budget. Does the curriculum involve just teaching or does it let the child work independently too? It allows flexibility in teaching methods and learning styles. The vast array of choices include English, writing, art, handwriting, foreign language, history, math, literature, music, spelling and science curriculums. Do your research and you can give your child a well-rounded third grade education at home. Explore our own objectives and recommendations to guide your homeschooling efforts. If you’ve found something even better, don’t hesitate to share it with us. What third grade curriculum works best in your homeschool? Share it here.